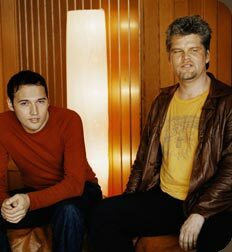 Soulounge Records was founded in 2004 by Sven Bünger and Bela Brauckmann, but it goes back to 2001 when the live project SOULOUNGE started to play — whose basic concept was to always invite new guest vocalists and musicians to every show. In no time the idea got around, the small club was already hopelessly crowded by gig #3. Locations were changed to make room for the growing fan base, three albums were recorded and the band toured all over Germany. However, the basic approach to invite exciting new singers to every show remained constant. Thus, over the years Soulounge has gathered a huge network of musicians, especially many amazing singers. The comprehensive repertoire can now be found at one place: soulounge-records.com. Starting as a «hey, let’s just play some of our favourite songs and have some fun» project almost a decade ago, Soulounge has undergone a stunning evolution as one of Germany’s most credible soul acts of today. The band played festivals like the world famous Montreux Jazz, shared a stage with stars like James Brown, George Benson or Lamont Dozier, to mention but a few. On the other hand, Soulounge has helped the rise of quite a few talents, too, for example Germany’s jazz-pop superstar Roger Cicero, Balkan queen Miss Platnum and Ayo, who is one of France’s most renowned soulful singer/songwriter stars. To mention these few would not do justice to the astounding amount of outstanding voices that make up the repertoire of Soulounge Records today. LOG IN and listen for yourself.